$UserName = Read-Host "Please enter username"
Review the results to find the source of the lockout. Click "Search" and review the results. Locking out an account after several failed authentication attempts is a common policy in a Microsoft Windows environment. Lockouts happen for a variety of reasons: a user enters the wrong password, the cached credentials used by a service are expired, Active Directory account replication errors, incorrect shared drive mappings, disconnected terminal sessions on a Windows server or mobile device accessing Exchange Server, and more. Before you unlock the account, you need to find out why the lockout happened, so you can mitigate security risks and possibly prevent the same issue from happening again. 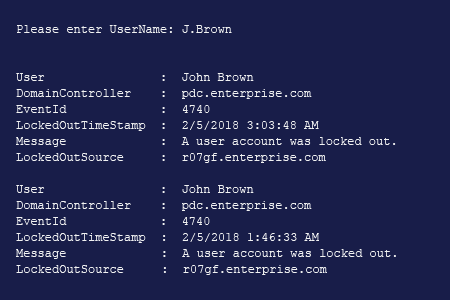 PowerShell can be a good tool for determining why an account was locked out and the source — the script provided above lets you search for lockouts related to a single user account by examining all events with ID 4740 in the security log. The output contains the details needed for further investigation: the computer where the account lockout occurred and the time when it happened. 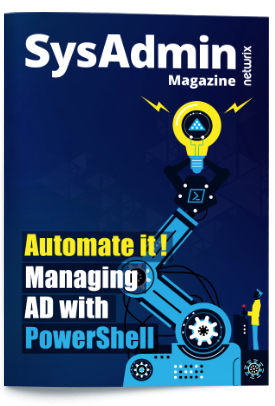 If you don’t want to bother with PowerShell, Netwrix Auditor provides two convenient ways to find account lockout sources. 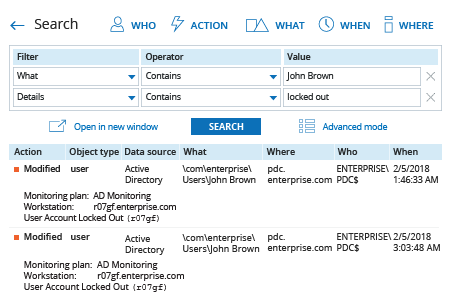 You can easily investigate a particular incident in detail using an interactive search, as illustrated above, or review all account lockouts for all users on all domain controllers in your environment in a single predefined report.